All of our doors are made with engineered alder and are fully built. Each door is unfinished, doweled, sanded and ready for paint or stain. Please select from the options below to choose your dimensions. UPS Freight will use a lift gate to deliver curbside. This option is recommended for residential deliveries. If this option is not selected, the customer is responsible for transporting the door from the truck. If there is anything else about your project you want us to know, please tell us! 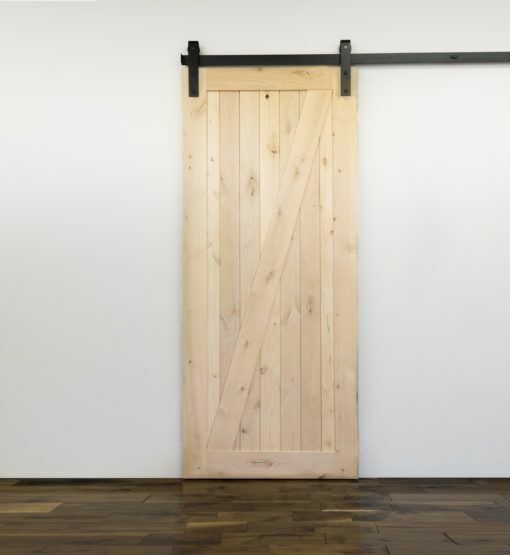 Our 1 Panel Z Barn Door puts a contemporary spin on a rustic design. 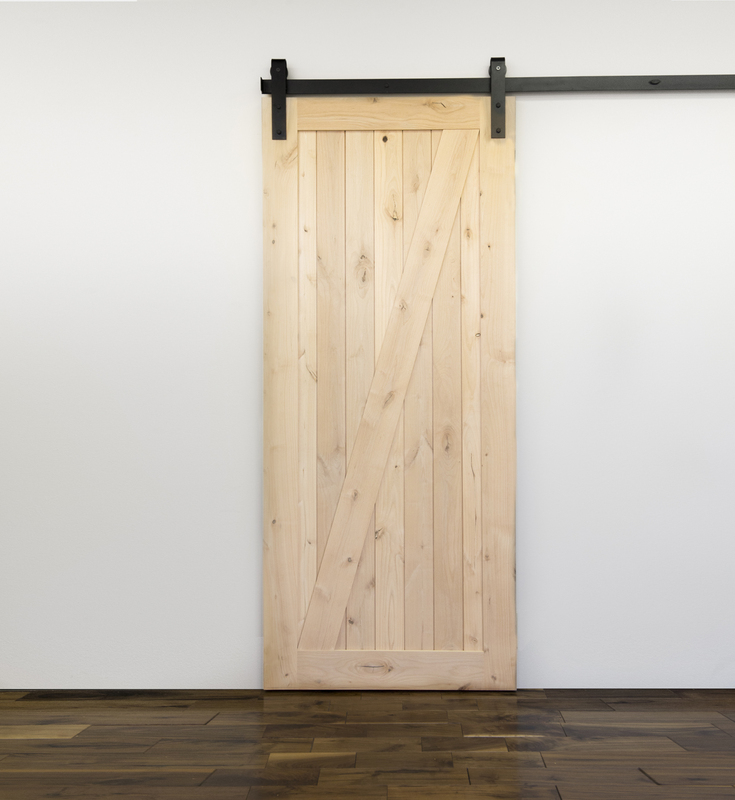 Its clean lines and simplistic “Z” shape make it the perfect addition to a modern decorating style, while its vintage barn door style fits right in with rugged décor. If you’re looking for a functional door or decorative piece that is versatile enough to look good in any home, this is it. This attractive 1 Panel Z Barn Door can be further customized to your preferences with distressed, weathered or worn textures. Fill out our online form and get yours on order today!